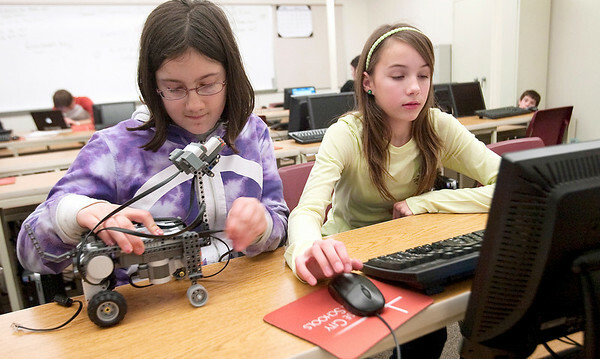 Kyra Tosiello, 13, and Rylee Price, 13, program their robot. Traverse City Christian School students are in the middle of J-Term, a two-week break from traditional academic classes in between semesters. Instead, the students take extracurricular classes, including service work, forensic science, robotics and cake decorating.